This is becoming a fairly common scenario here in Charlotte. Concerned citizens traveling on I-77 or I-85 see what they believe is a drunk driver on the road and place an emergency call to 911. They describe the erratic driving and are concerned something bad is going to happen. The 911 operator asked for more information about the make, model, and color of the suspect vehicle. They may even try to get tag information. The operator will also determine where the caller is located and ask where the suspected impaired driver is headed. This information is then relayed to police units, and the closest patrol car is dispatched to the area. If the responding officer locates the suspect vehicle and independently observes bad driving, the resulting police stop is fine. Reasonable suspicion is established independently, and there is no problem legally with the stop or subsequent DWI investigation.What if, however, the responding officer locates the vehicle after it has stopped and the driver is standing outside the car? Can the police then proceed with an investigation based on the anonymous DWI tip? Probably not, but the answer is not as clear as Charlotte DWI lawyers would like it to be. This can be a tricky area of NC DWI law because the ultimate outcome is going to vary in each individual case. Ultimately, Charlotte police may be found justified in stopping a vehicle based on a tip from someone else. But, the description police receive from the anonymous DWI tip must be specific as to what the suspect vehicle is doing, the description, and any other information that “exhibits sufficient indicia of reliability.” State v. McArn, 159 N.C. App. 209 (2003). Otherwise the police must be able to independently corroborate the information given in the tip before they can stop the vehicle. In State v. Maready, 326 N.C. 614 (2008), an informant told police that a vehicle was being driven erratically, and it was confirmed that she was in a position to observe the traffic violations being described. The informant approached officers in person and gave them information including the time and place near the incident. She also appeared to be distressed. In this case, the police had also previously observed an intoxicated man stumbling across the roadway to enter the defendant’s vehicle. The court found under these circumstances the informant’s tip supported a finding that the police had “reasonable suspicion” to stop the vehicle. In State v. Peel, 196 N.C. App. 668 (2009) an anonymous DWI tip was given to police about an erratic driver on the road. Police subsequently located the vehicle and observed the vehicle “weave” just one time before proceeding to stop the vehicle. The court in this case found that there was insufficient reasonable suspicion to justify stopping the vehicle as the anonymous DWI tip was not corroborated independently. In defending Charlotte DWI cases, an experienced lawyer will critically review every aspect of your case, starting with whether the police had proper reasonable suspicion to stop you in the first place. Whether you are charged with DWI here in Charlotte or in any of the surrounding areas, including Lake Norman, Huntersville, Cornelius, Davidson, or Pineville, every case review process is the same. Ordinarily, reasonable suspicion is fairly obvious. An officer sees a driver speeding or observes an expired tag or inspection sticker. Not every police stop begins with a suspicion of DWI. For example, merely speeding is not a recognized DWI impairment “clue.” Other times, however, the officer immediately suspects drunk or impaired driving after observing weaving, crossing into other lanes, or other erratic driving behaviors. Here, reasonable suspicion is clear, and your Charlotte DWI attorney moves to the next part of the the case analysis – probable cause to arrest. But, in cases where the only description of impaired driving comes from an anonymous DWI tip, the officer must either independently confirm a basis to stop the vehicle, or if not, the State may have to locate the witness and have them testify in court as to what they saw and described to the police. In cases where the driver is out of the car before the officer can independently verify reasonable suspicion, the State may not have a proper basis, and any resulting DWI charge should be dismissed. For those individuals charged with a DWI here in Mecklenburg County, DWI lawyer Robert J. Reeves has practiced law for over 25 years. 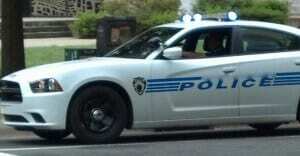 In a recent case involving a DWI checkpoint, his client from Huntersville was driving home after a night on the town. He came up on a DWI checkpoint here in Charlotte. What he did not know at the time was that a driver following behind him had called 911 to report what he described as “dangerous driving” and was concerned about DWI and an impending accident. The concerned citizen was actually several cars behind the DWI client in the checkpoint. The first officer asked for license and registration. 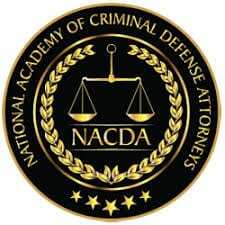 When given those documents, that officer waived our client onward before the concerned driver could say anything. A second officer then stopped our client again, smelled alcohol, and started the DWI investigation which led to his arrest. If the DWI charged had been based on the concerned citizen’s 911 call alone, there would not have been reasonable suspicion to stop our client’s vehicle. The officer would have had to independently observe sufficient bad driving to make the stop. However, here, the client was simply caught up in a routine DWI checkpoint and was charged with DWI after the officer smelled alcohol and completed DWI field sobriety testing. Bad or erratic driving was never an issue. 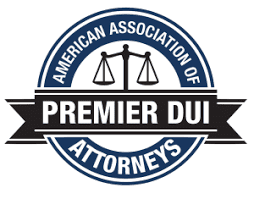 All the State needed to charge DWI was there without the need for any testimony by the driver who called in an anonymous DWI tip. As with any DWI case, each fact pattern is unique. Only the basic required elements of a NC DWI charge are the same. 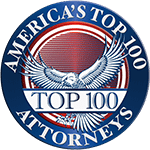 Each case has to be carefully reviewed by an experienced Charlotte DWI lawyer. In many cases, little facts or circumstances can make a big difference in the final outcome. Every nuance can be critical and can sometimes mean the difference between being found guilty and being acquitted of a DWI charge.